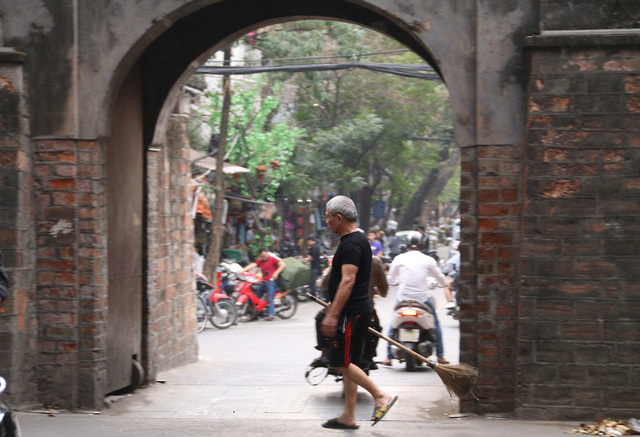 A man in Hanoi has been working as a guard and cleaner for Quan Chuong, the last gate of Thang Long Citadel for around 20 years. 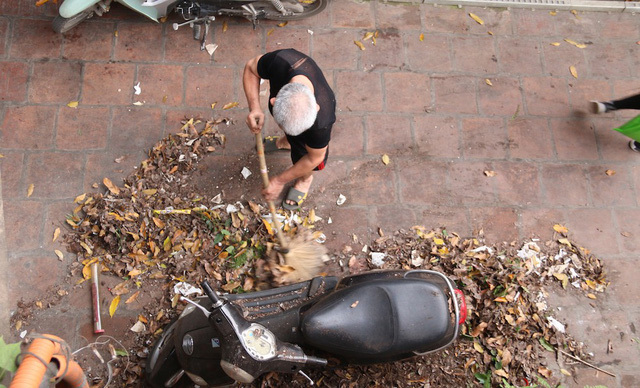 Every day, Ta Van Nhan, 70, in Hoan Kiem District, sweeps the gate at 6:30 am which is full of leaves and rubbish from vendors. 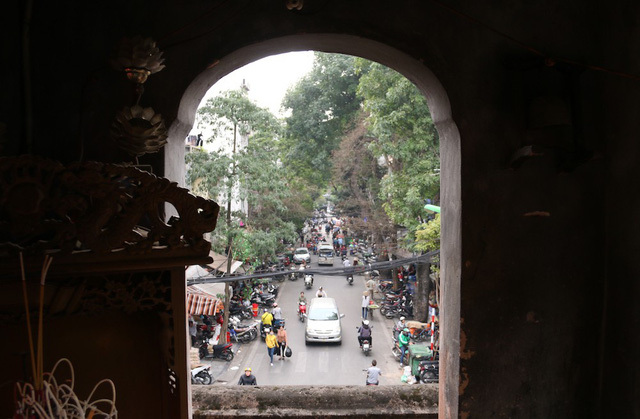 Quan Chuong Gate area often attracts many tourists. 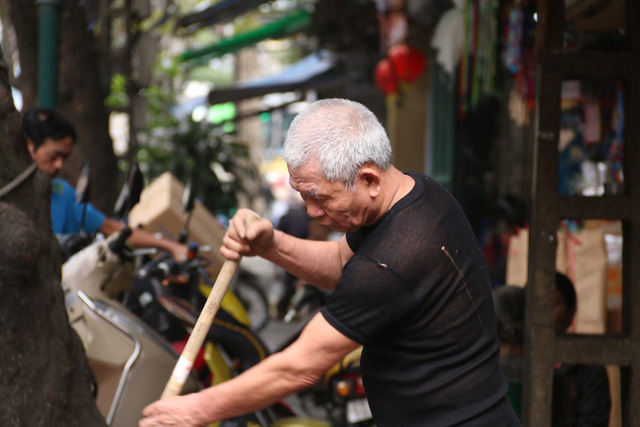 He usually has to remind shops and vendors to ensure traffic order and hygiene for the area. 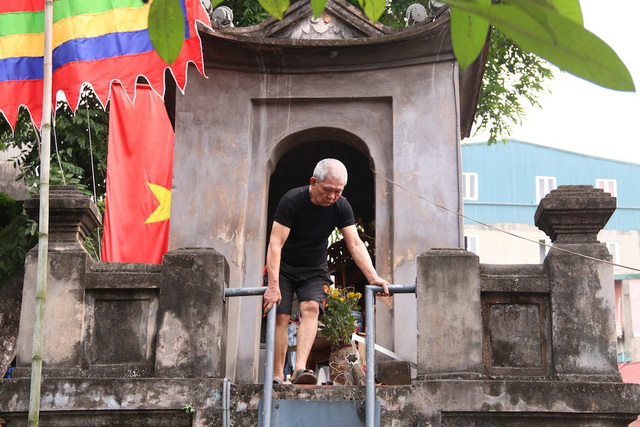 Nhan does not remember exactly when he started guarding the gate, but estimated that it has been around 20 years. When starting the work, he received the payment of some VND100,000 (USD4.54) per month and now it is VND1.8 million (USD81.8). 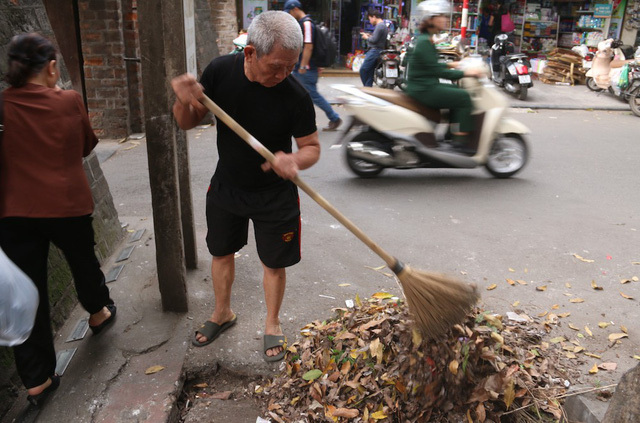 Nhan said the work is not hard, but requires the patience, adding that he often faces difficulties to remind people not to throw litter on the streets. The man said that he will continue the work until he can’t. 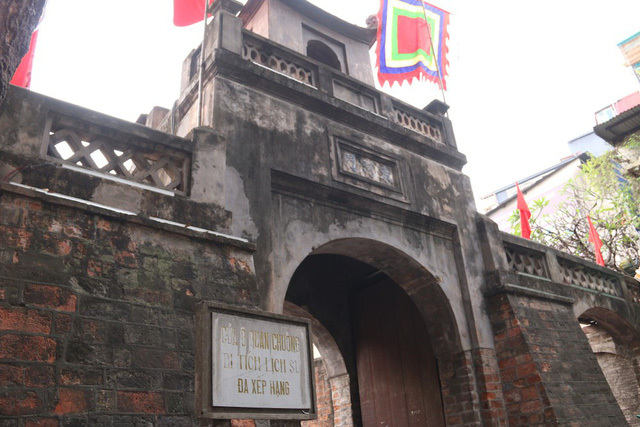 Quan Truong is one of the 21 gates of the old Thang Long Citadel, a national relic, recognised in 1995. 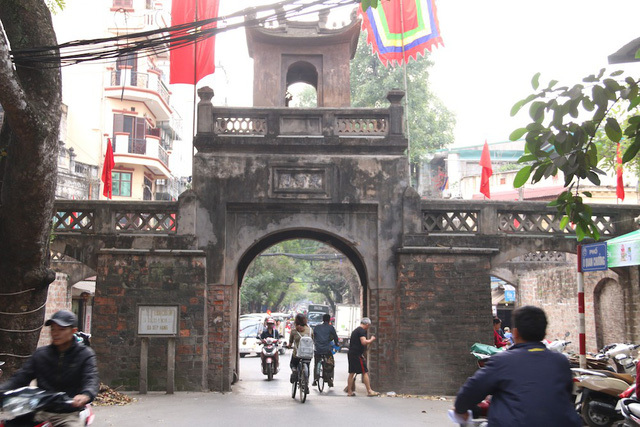 Located at an end of O Quan Chuong Street, Quan Chuong Gate opens to Red River dykes and Hang Chieu Street behind it. It has cupola form, with a watch tower at the top. 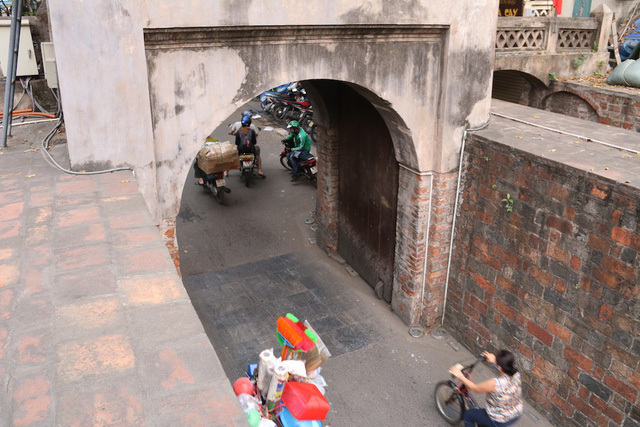 The palate form gate used to have double thick wooden doors which closed at night and opened early in the morning for people to go into and out of town. 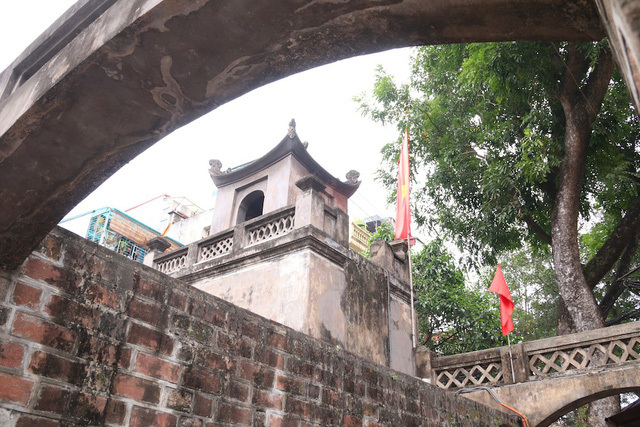 Through ups and downs of history, Quan Chuong Gate still stands as a simple but precious structure that has witnessed times of peace and war.